- Great for seniors, caregivers and kids - Great for businesses and homes too ! - Re-keying information. These locks are Schlage compatible. If you have a Schlage lock you can re-key these locks to use the same key. Click 'Add To Cart' to add $28.89 Canada shipping charges to your order. 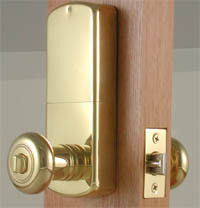 Easy to install DIY (do it yourself) on virtually any residential 1 3/8" to 1 3/4" thickness door. No wiring, no extra drilling. 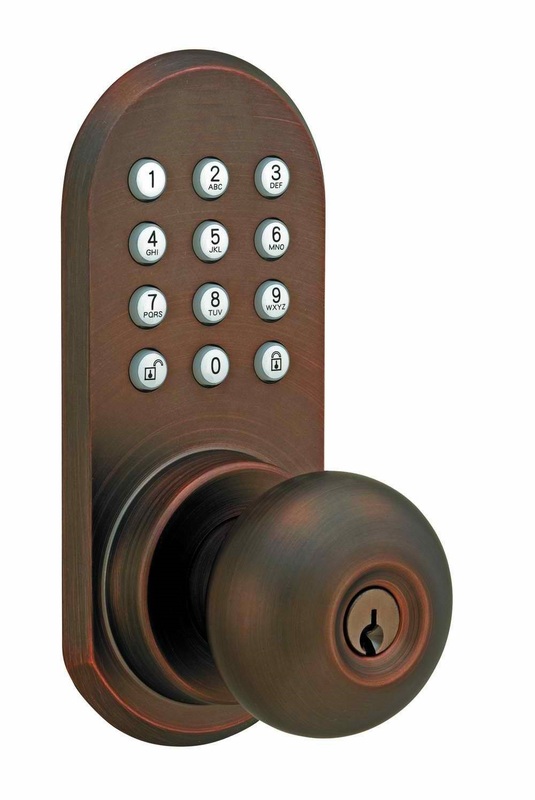 Lock and unlock using 2-8 digits security code or from any directions with the RF Remote. Range of up to 150 ft (your environment may effect range). Accept up to 10 different combinations. One remote transmitter can program and open unlimited doors. Single push button programming for remote transmitter. Codes can be added or deleted individually. Warning Alarm after 4 failed attempts. Audible tones for lock, unlock, jam and low batteries. 1 remote transmitter plus 2 additional conventional keys included for conventional operation. Auto-lock feature will lock your door automatically in 10 seconds after every unlock entry. You can turn this feature off to use as a passage function. Easy to install DIY on virtually any residential 1 3/8" to 1 3/4" thickness door. Adjustable latch: 2 3/8" or 2 3/4" backset. 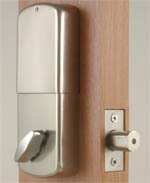 *** Please take special care in determining which handle type you need, right or left to properly work with your door. This revolutionary door knob recognizes up to 15 or more remotes so you can grant access to multiple users. Remarkably easy-to-use and convenient for all ages, you'll wonder how your family ever lived without it! Each unit comes with two remote controls, and two conventional back-up keys for manual operation. 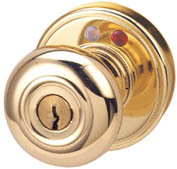 RF (Radio Frequency) Remote Door knobs and Deadbolts all have a tested range of 150 FEET. 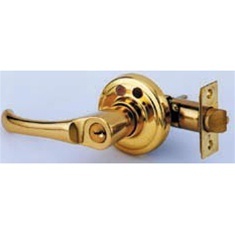 - Adjustable 2.3/8” (60 mm) or 2.3/4” (70 mm) Latch included. - Adjust to Right & Left handed doors (see instructions). - Fit to door thickness 1.1/4" - 1.7/8". - Suitable for all domestic uses inside and out. - Suitable for the disabled. 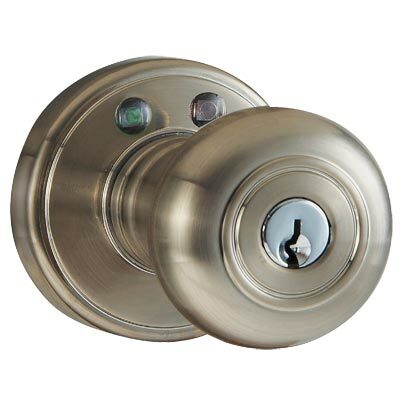 - Unlocks the door from any direction from up to 150 feet. - 2 remote transmitters plus 2 additional keys for conventional operation. - Anti-scan code hopping technology - "Lock Bumping” resistant pins. 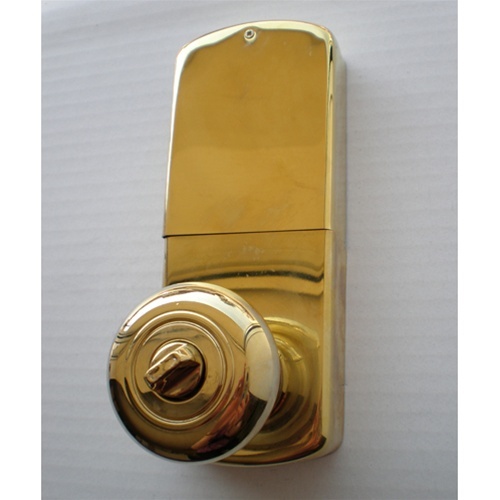 Install an RF Doorknob and enjoy the convenience of opening your door with the click of a small remote. This model requires 4 AA batteries (sold separately). This Remote-Controlled door knob is easy to install and program. 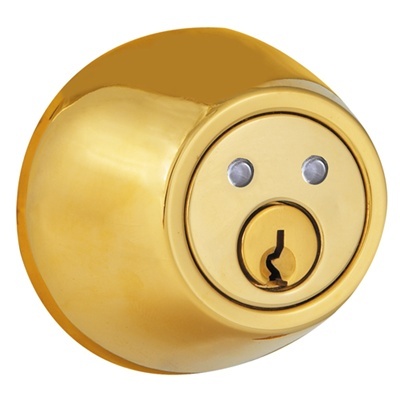 It replaces your existing door knob, so there's no drilling involved. And since it's battery powered, there's no need to mess with any power cables. Easy installation (10 minutes or less). Suitable for all domestic uses inside and out. Unlocks the door from any direction from up to 150 feet if there is no obstacle between the remote fob and door. (Actual distance may vary). The remote will unlock the door from the inside and the outside. Panic exit function (The door can be opened from the inside at all times by using the inside latch handle). 2 remote transmitters plus 2 additional keys for conventional operation. Powered by 4 AA 1.5v alkaline batteries (always use good quality ALKALINE batteries). Power for approx 6 months operations before the batteries need replacing. Tired of fumbling for your key when your arms are full or trying to find your door lock in the dark? Install an RF Deadbolt and enjoy the convenience of opening your door with the click of a small remote. This model requires 4 AA batteries (sold separately). This Remote-Controlled deadbolt is easy to install and program. 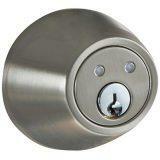 It replaces your existing deadbolt or you can add one. And since it's battery powered, there's no need to mess with any power cables. 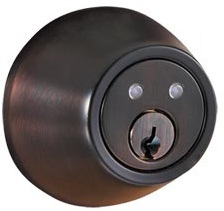 This revolutionary deadbolt recognizes up to 15 or more remotes so you can grant access to multiple users. 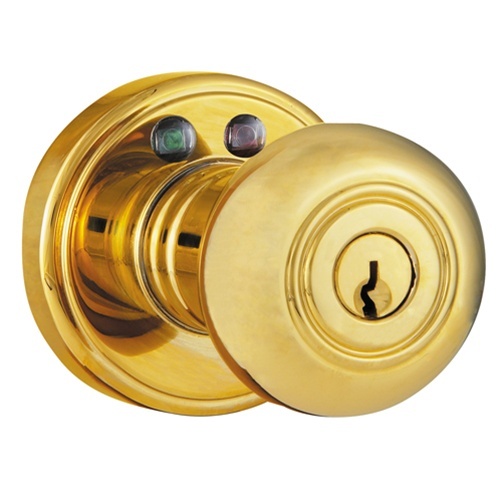 RF (Radio Frequency) Remote Door knobs and Deadbolts all have a tested range of 150 FEET. Your environment may effect your actual range. What type of batteries do the remote keyfobs use? They use (2) CR2016 batteries. What type of batteries do the locks use? They use (4) AA bateries. Can I use rechargeable batteries in the doorlocks? Can I re-key these locks? 5 Star Ebay Transaction All-The-Way!!!!!! - - - - -Thanks!!!!!! Great Deal and fast shipping! Thanks! looks like high quality!!!!!!!!!! very pleased!!!!!!!!!! A++ Great Wireless Door Lock! Good quality item. Very satisfied with transaction. Would recommend ! Item is exactly as promised, easy to install. EXCELLENT PRODUCT, TOP NOTCH CUSTOMER SERVICE, GREAT SELLER!! you may do so and we will issue you a refund within our 30 day return period. * Re-keying information. 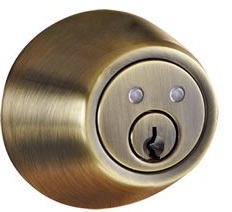 These locks are Schlage compatible. If you have a Schlage lock you can re-key this lock to use the same key.